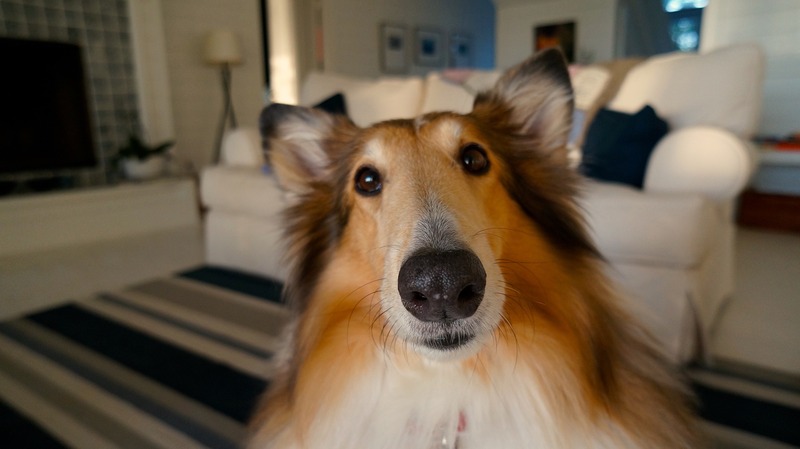 Your dog accidentally bumps into items in the home that are not in their normal place. This could be a chair that is pulled out of place at the table, or a new piece of furniture. Dogs have the ability to mask their vision loss by memorizing their surroundings. They may also rely on another pup in the household for guidance. When you throw a toy or treat and she does not see it. You can test this by tossing a treat to the far sides of her vision to see if she is able to detect it. If your dog becomes reluctant to jump off the bed, navigate stairs or exit the car. Watch for any routine activity that your pet may be tentative about. You may also want to check your pup’s joints, because your dog’s reluctance may also be attributed to joint pain. Often night vision is the first to deteriorate. Take your pup to a place where they have not memorized the layout, and see how they navigate their surroundings. Not all eye issues have visible symptoms, but keep an eye out for these visible signs: cloudy or fuzzy eyes, increased tear production, lack of tear production, squinting, discolored discharge and pawing at eyes. Contact Indian Peaks Veterinary Hospital at (303) 938-9474, if you have an concerns about your pet’s vision.